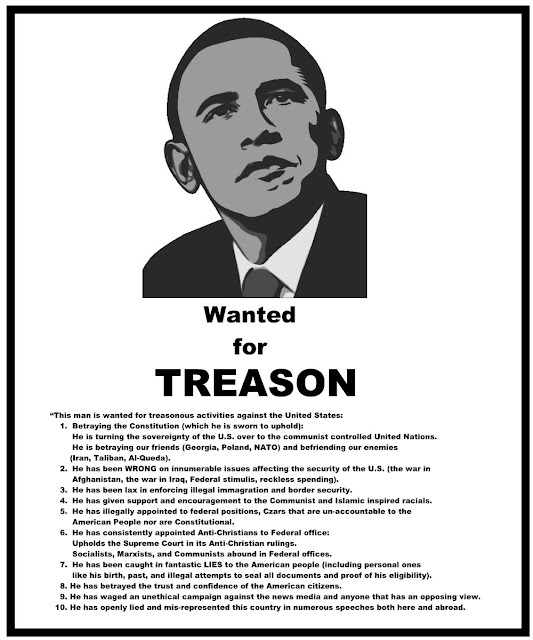 However, Congress has, at times, passed statutes creating related offenses that undermine the government or the national security, such as sedition in the 1798 Alien and Sedition Acts, or espionageand sedition in the 1917 Espionage Act, which do not require the testimony of two witnesses and have a much broader definition than Article Three treason. For example, some well-known spies have been convicted of espionage rather than treason. One of American history's most notorious traitors is Benedict Arnold, whose name is considered synonymous with the definition of traitor due to his collaboration with the British during the War of Independence. However, this occurred before the Constitution was written. Since the Constitution came into effect, there have been fewer than 40 federal prosecutions for treason and even fewer convictions. 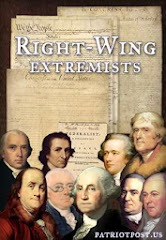 Several men were convicted of treason in connection with the 1794 Whiskey Rebellion but were pardoned by President George Washington. The most famous treason trial, that of Aaron Burr in 1807 (See Burr conspiracy), resulted in acquittal. Politically motivated attempts to convict opponents of the Jeffersonian Embargo Acts and the Fugitive Slave Law of 1850 all failed. After theAmerican Civil War, no person involved with the Confederate States of America was tried for treason, though a number of leading Confederates (including Jefferson Davis and Robert E. Lee) were indicted. Those who had been indicted received a blanket amnesty issued by President Andrew Johnson as he left office in 1869. The Cold War saw frequent associations between treason and support for (or insufficient hostility toward) Communist-backed causes. The most memorable of these came from Senator Joseph McCarthy, who accused the Franklin Delano Roosevelt and Harry Truman administrations of "twenty years of treason." As chosen chair of the Senate Permanent Investigations Subcommittee, McCarthy also investigated various government agencies for Soviet spy rings; however, he acted as a political fact-finder rather than a criminal prosecutor. The Cold War period saw few prosecutions for treason. On October 11, 2006, a federal grand jury issued the first indictment for treason against the United States since 1952, charging Adam Yahiye Gadahn for videos in which he appeared as a spokesman for al-Qaeda and threatened attacks on American soil. Most states have provisions in their constitutions or statutes similar to those in the U.S. Constitution. The Extradition Clause specifically defines treason as an extraditable offense. 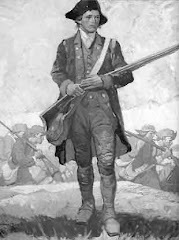 There have been only two documented prosecutions for treason on the state level, that of Thomas Dorr for treason against the state of Rhode Island for his part in the Dorr Rebellion, and that of John Brown for treason against the state of Virginia for his part in the raid on Harpers Ferry. 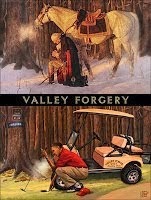 In 1859, he and a few of his sons infiltrated Harpers Ferry - a military base in Virginia - in an attempt to steal the weapons that were kept there. His goal was to give these weapons to slaves, and lead them in an armed rebellion, but his attempt was unsuccessful. His sons were killed in the ensuing battle, and he was captured, and then tried, and convicted, for treason against the Commonwealth of Virginia. He was sentenced to death by hanging, which was performed on December 2, 1859. Kevin bases his prediction on what he considers five essential bases for Obama, what McCullough calls "Raging Liberals", "Disgusted Conservatives', "Exhausted Moderates", "Energized Blacks", and "Gullible Evangelicals". 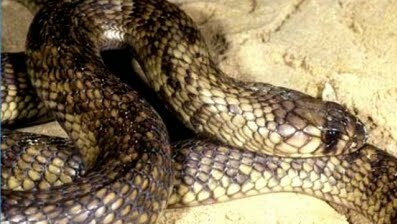 McCullough seems to be claiming that Obama will flim-flam his way to the Oval Office, and I must admit History warns us that politicians are quite able in that trait, and I agree that Obama possesses the sort of moral inadequacy to choose the way of the snake to get what he wants. However, I cannot agree with McCullough's opinion that Conservatives and Evangelicals would find Obama a suitable choice; the weakness in those groups comes when they stay home out of petulance, but they do not vote for a candidate who is clearly Liberal in his politics or for a Democrat. Those groups will be in play when the Republican candidate either excites or disappoints them, but Obama will not get their vote and cannot sway them except to drive them to his opponent if he reveals himself to be extreme. 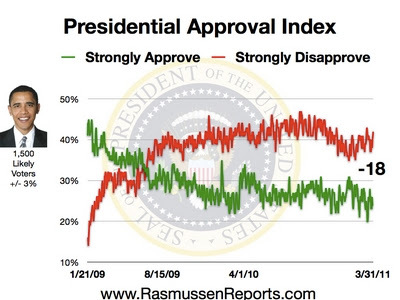 As to the Liberals, no Democrat in twenty years has lacked their support, so Obama gains nothing in the General Election from them, especially as fewer people than ever consider themselves Liberals. Liberals are angrier than ever, but that does not give them extra votes, except in places like Chicago and St. Louis. 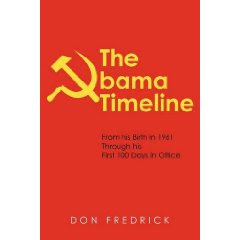 But the real problem for Obama lies in the structure of the Democratic Primaries, and the history of Presidential Elections. The first hurdles for Obama will not come from Republicans, but from other Democrats; Senator Hillary, Governor Vilsack, and all the other 'me-make-good-President' wanna-be's (plus some moldy oldies, possibly including the stale but obsequious Al Gore, John Kerry, or even Joe Biden). A lot of money, planning, and energy will be spent by differing factions trying to take down the others, especially since with control of Congress in Democrat hands, a Democrat President will hold tremendous power to direct the nation as he/she/it sees fit, a tantalizing prize that will pull all the stops out. The 2004 Democratic Primaries were a knife-fight; 2008 will be fought with the heavy artillery. Barack can expect to be attacked by Democrats on everything from his short record to his middle name. Nothing is out of bounds, and below-the-belt is the preferred tactic. In years past, Democrats limited their attacks in the primaries because the presumed Republican opponent appeared strong and the Democrats needed the appearance of amity and teamwork to hope for victory, but with no dominant Republican on the horizon, the Democrats' confidence in their advantage will blow that façade off the stage. Barack Obama has made his way through politics to this point by winning support from key constituencies and charming the media. In this respect Obama may be fairly compared to Governor Howard Dean, whose 2004 run started with a lot of media hype and early excitement, but who could not withstand the vicissitudes of the road, nor the challenges by opponents and uncertain voters demanding substance from him. The notion of Barack Obama making a presidential run is not unlike the notion of taking a Ferrari off-road through the mountains; Obama could make a good run at the Governor's mansion, but he does not have the fortitude to try for the White House. I think I see a trend, how about you? Now it is true that as we move further back, we see Kennedy served as a Senator but really, comparing Obama to Kennedy is more than a bit of a stretch, not the least because many of JFK's policies would never be embraced by the modern leadership of the Democratic Party, like tax cuts and a strong defense policy. Eisenhower never held elected office before his campaign, but his work as Supreme Commander Allied Forces in World War Two was a clearly executive position with tremendous accountability and responsibility. You get the idea, I think; the public demands something more of a candidate than a claim that he can do the job, he must show some evidence that he has met such challenges before. Next up is the matter of how weak candidates like Obama could win. Bill Clinton and Richard Nixon were able to sneak off with the White House by winning only 43% of the Popular Vote, but in both cases they faced opposing parties whose vote was split - it is fair to say that Wallace cost Humphrey the 1968 election, and Perot cost Bush his 1992 re-election. There is no evidence that the GOP vote in 2008 will be split. There simply is no historical precedent for a paper-thin candidate like Obama to build the kind of support to win the party nomination against such better-funded and deeper candidates, much less to then hope to carry a majority in the General Election - he only holds support from 17 percent of Democrats now, and while he could build that up, it would be as thin and fragile as everything else in his portfolio, with poor odds it could withstand a full season of challenge and contest. Today, Dennis Kucinich delivered a remarkable floor speech to Congress. I only have about 10 minutes of it here for you, perhaps CSpan has the speech in it's entirety. As anti-left as I am, I am not close minded. I am most often strongly opposed to Dennis Kucinich. There are times when something is said, when you have to listen, and this is one. Kucinich and his band are labeled peaceniks. Anti-War no matter the issue. I have a difference with them there, but, in the Libyan instance, I couldn't agree with Kucinich more. The constitution is invoked, poignantly, if not somewhat hypocritically, considering Kucinich's part in ObamaCare. I found myself wondering if Congressman Kucinich was having major buyer's remorse with respect to Obama. Check this video out, and the other part on C Span if it's up yet. As Americans we should find no fault with Kucinich's actions on this day. Isn't Bogus Info On Selective Service Forms a Crime? The stupid factor is coming out. An AOL News contributor is running a story, slamming Trump's NBC status because his mother was born in Scotland in 1912. Desperate to draw similarities in Obama and Trump's nativity story, the reporter "forgot" to mention Trump's mother obtained US citizenship prior to his birth. Two US citizen parents at the time of the child's birth, born on US soil, equals a Natural Born Citizen, one of the constitutional requirements. This reporter is in fact doing us a service. Isn't that often times how good triumphs over evil? What seems a bad turn, provides the means to destroy itself. Trump on the surface doesn't seem to be fully up to speed on Article II. This may be an act to draw in Obama so he can blow him out of the water at the politically opportune time. Trump could be spoon feeding the uninformed, and believe me there are the walking zombies out there, but then again Trump may only be superficially informed on Article II. The reporter by questioning Trump's status is providing an opening you could drive a truck through. If Trump isn't fully up on this Trump's advisers are, you can bet your life on it. These guys get paid bigtime to keep Trump from running off the rails and looking bad. They will brief Trump with the finest constitutional lawyer in NYC. In less than 5 minutes Trump will have it cold, and know what to do with it. The next round of Trump interviews talking about Obama's lack of NBC status, the screws will be tightened even more. Bank on it. Here's a happy thought- Is Trump waterboarding Obama on TV, without actually strapping Barry to the waterboard? It must be torture for the mini messiah, hanging on Trump's every interview word, knowing The Donald is coming for him. The AOL news reporter and the Mina birds that will parrot her report are stepping on a yard rake, their toothie grins are about to suffer a tragedy when they meet Mr. Rake Handle. I watched Trump on O'Reilly tonight, as I'm sure many of you did as well. Trump stroked O'Reilly when the b/c topic came up. " These people, the birthers, are afraid of you Bill, but they are really good people". Plzzz. When Rev. Manning and Orly Taitz stood on the sidewalk outside Fox Studios on the Avenue of The Americas, demanding equal time from O'Reilly, Billy was a no show. Bill cowed in his office afraid to face the truth. Trump can say it that way, I understand the schmoozing he is doing for the egomaniacal O'Reilly. I'd rather he let the chips fall where they may. Diplomacey is not my strong suite. Trump's trying to not make enemies with someone he may need later (cough, cough)in the future for campaign purposes. Suffice for now, Trump IS mentioning the eligibility issue at every opportunity. Monkey see, Monkey do. 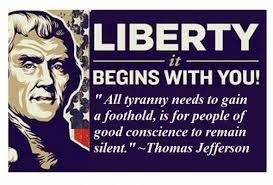 Bachmann or Huckster or a few of the others WILL see the traction this issue is getting with the voters, and they too will want a piece of this action. Pawlenty has shown himself to be a GOP old guard sellout, the constitution be damned. Scratch one off the list. Glad he saved us some effort early on. Pawlenty will be an early drop out anyway, if he so desperate for GOP attention, he has to make such a high risk move this early. Obama is going to be confronted in the not too distant future though, whether it's over being excluded from a state ballot because of his non NBC status, or during a nationally televised debate, Obama will have a very uncomfortable spotlight turned his way. Obama is going to be challenged by Trump for sure, one way or another. Trump has already said he would run as an independent if he failed to win the republican primary. That obot rake is growing by the minute. Donald Trump’s lawyer Michael Cohen is defending is his client’s natural-born citizenship, telling Britain’s Daily Mail: “I don’t think anyone’s going to question whether Donald Trump is or was not born in New York.” Cohen pointed out there are hospitals named after Trump’s family in New York, but the only ones named after Obama are in Africa. Notice how O’Reilly feigns incredulity, derision, shock, and laughter asking whether the issue of Obama’s eligibility was an important subject. It was not convincing. Trump doesn’t miss a step. "...Trump's trying to not make enemies with someone he may need later (cough, cough)in the future for campaign purposes...." So is Sarah Palin, but you've hung her out to dry, Steve. Why give Trump a pass and not Sarah? In fact, why give Michele Bachmann a pass and not Sarah? Anon, that's a very fair question. In my opinion, Trump deserves our support more than Palin simply because Donald is the first major player to speak out. For over two years, we have waited on Palin. We have given her every opportunity. Palin could have united the country on this issue like no other, BUT, she chose to view the eligibilty issue as a "low priority distraction". She has become Glenn Beck-i-zed. It became painfully obvious, she cares more for appearance money, than she does for the truth. Trump has a fortune already, his coming forth could hurt his business, his reputation, and suffer needless public scorn from the leftist idiots. Trump confronted the issue anyway. Palin "talks" about the foundation---the constitution, upon which our country was established, but will not defend it, "against all enemies both foreign AND domestic". The constitution IS America,it establishes the Rule of Law and guarantees our rights and protections as citizens under it, and if we don't have that, then we have no country or lawful protection. 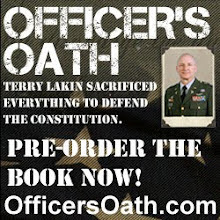 Protecting the constitution is part of Job 1,-"providing for the national defense." Jobs, Budgets, Taxes, Foreign Affairs, come after Job 1. 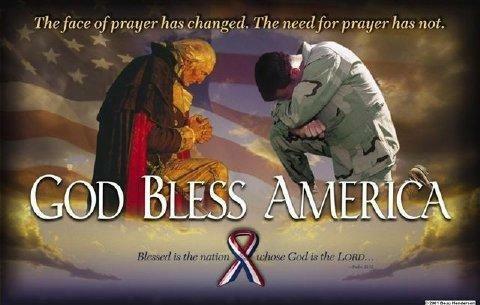 The constitution is the glue which binds us as a nation, without it we are a collection of lawless individuals. Dodge City Baby ! Do I care for Trump's schmoozing with O'Reilly? hell no. Politics in America are not absolute, but you must have a core, a do not cross line. Trump walked that tightrope with O'Reilly, without surrendering his principles. Thanks for your very good question, I hope my reply was illuminating. Is This What We've Come To ??? That's the most asinine thing I've heard all month, almost. Give me a break. Remember Idi Amin? Amin conferred upon himself all kinds of titles. Is that next for Obama?? Iman Dr.Col Professor,Barry the Transparent, His Excellency,Mr President Community Organizer Emeritus. Noble Prize Winner, B.S. D.D.T., L.M.A.O. On August 28, 2008, Representative Nancy Pelosi, then Chair of the Democratic National Convention signed an official Certification of Nomination verifying that Barack Obama was legally qualified to serve as President of the United States under the provisions of the United States Constitution. I would like to know what Constitutional criteria were used by Rep. Pelosi to make that determination and what evidence she provided to support her contention. 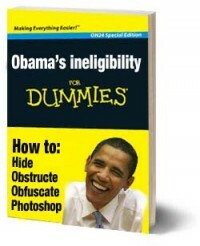 The issue of Barack Obama’s eligibility must be resolved now before the 2012 election. 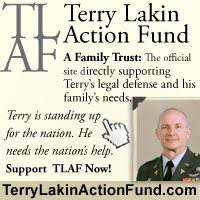 It is incumbent on those, who authorize his place on the ballot to cite the legal bases for making such a claim. I WOULD SUGGEST THAT EVERYONE WRITE TO MS. BACHMANN AND GIVE HER A PIECE OF YOUR MIND. THIS COMMENT RANKS AS ONE OF THE MUST IGNORANT, STUPID, ABSOLUTELY IDIOTIC STATEMENTS IN POLITICAL HISTORY. THE OBOTS ARE GOING TO JUMP ON THIS IN THEIR CONTINUING EFFORTS TO DEMEAN ALL THOSE WHO WANT TO UPHOLD THE CONSTITUTION OF THE UNITED STATES. REALLY, REALLY DUMB MICHELE! Donald Trump is Proud to be a Birther...and so am I! 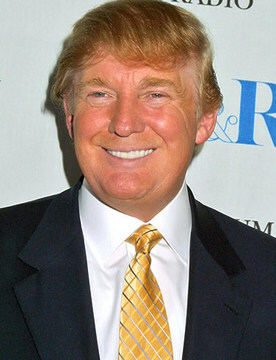 Watching Donald Trump on Bill O'Reilly's show today, I am convinced that Trump has what it takes to put his hat into the ring for the 2012 Presidential Election! 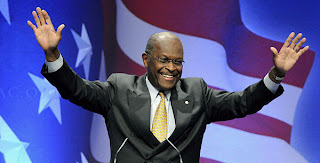 Only recently has his name been thrown into the pile of possible Republican contenders of President to usurp Barack Obama's reign of terror, which was brought to a climax in his staggeringly condescending and over-simplified television address on the subject of the Libyan crisis. But this isn't what this particular blog is about. This blog is about Trump's claim, which he first expressed on the clucking chicken-coop show that is know as The View, where he valiantly shouted, "I want to see his [Barack Obama's] birth certificate." Mr. Trump has recently thrown his hat into the ring and has become a "birther", which is a term given by the media to represent a certain faction of people who are fed up and are demanding that "President" Obama release his birth certificate. Trump is absolutely adamant about the subject, and just a few minutes ago I saw him state his case on Bill O'Reilly's show. O'Reilly is NOT a birther. So it was a point of contention between O'Reilly and Trump. Trump stated the fact, and one that a lot of people thing, and that is the fact that since Obama hasn't released his birth certificate, there is something he is hiding on there. Trump says that the main thing might be his religion, which could be stated as being Muslim. Obviously that's not a crime, but it could mean a certain end for any of Obama's future political endeavors. 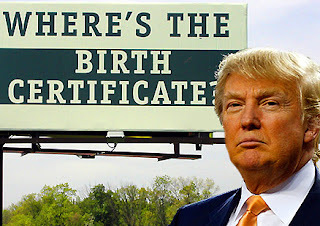 I, speaking as someone who has kept their mouth shut about the whole birth certificate issue up until now, state the fact that I, along with Donald Trump and many many other true-blooded Republican/Tea-Partiers, am a Birther. 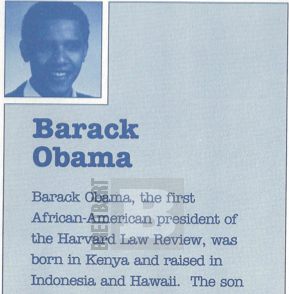 I believe that Barack Obama is definitely hiding something. If everything was in order, he would have opened those records from DAY ONE. 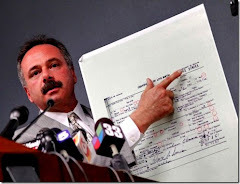 But since he is playing 4-year-old games with us and is hiding it, there is something on those fateful papers that he doesn't want us to see. I believe it may be religion, because that IS the most probable thing on there that could be a splattered bug on Obama's Presidential windshield. Either way, there is something that he is hiding. And who knows! It may be something far more sinister than religion. Maybe the birth certificate doesn't exist at all! This may seem like a long-shot, but what Mr. Trump said in his interview with The View ladies is that he, Mr. Trump, has seen a lot of fraud in his life and this birth certificate that is floating around that got him into the presidency may have been forged! I support that claim 100%. I believe that he falsely entered into the presidency with fake credentials and shoddy workmanship. But the cold hard facts are that we won't know until he releases those damn records! 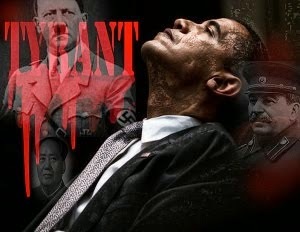 Barack Obama is hiding something. Something cold. Something scary. Something even worse than can be found in the darkest of Stephen King novels. Could it be possible that our Commander-in-Chief is boldly lying to us? That is the worst outcome of all! I don't want to live in a country where our top leader doesn't speak a word of truth to the people who his country. I just don't. This birth certificate thing just opens up a whole can of worms that I don't even like to think about. I can't believe more Americans aren't more adamant about this, like Donald Trump and I are. I wish every American, legally-born of course, would rise out of their seats and shout as one, "We want to see the birth certificate!" All of our voices together would shake this fidgety man into finally bringing forth the lies which he has hidden for so long! 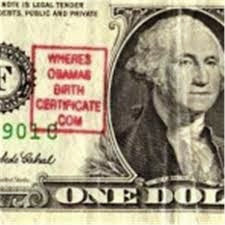 I am a Birther and I'm proud to be one! WE WANT TO SEE THE BIRTH CERTIFICATE! 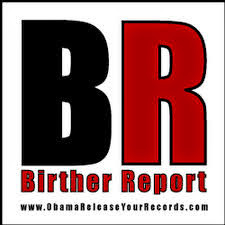 To read more on the Birthers and our quest, go to http://obamareleaseyourrecords.blogspot.com/ and join the good fight! Be sure to comment on this blog and tell me what your thoughts on the matter are. 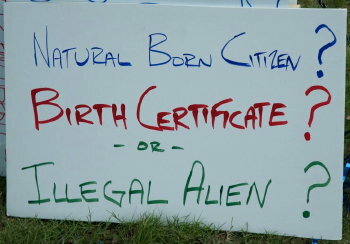 Are you or are you not a Birther? What do you think Obama may be hiding from us?